Traditionally, the use of satellite communications for cellular backhaul was considered a last resort, due to bandwidth limitations and high costs. 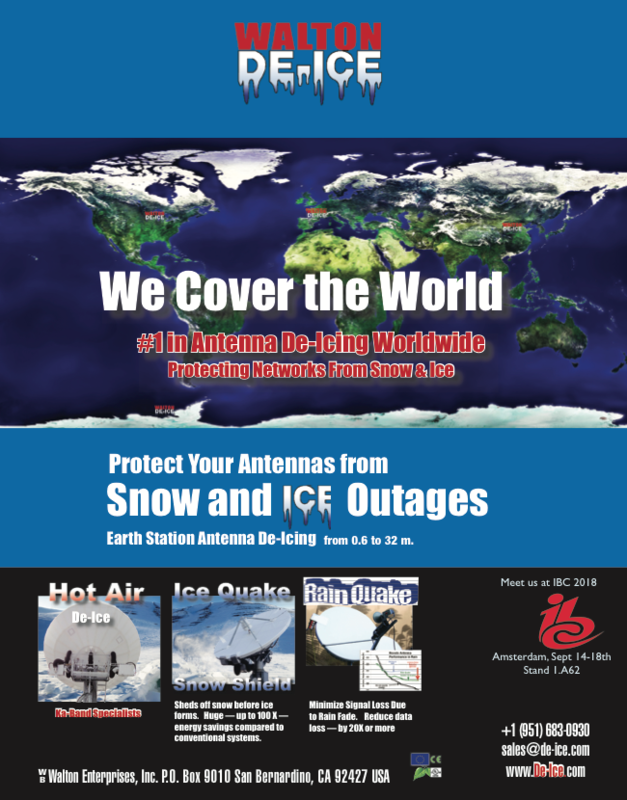 For these reasons, the satellite option was only used where terrestrial solutions such as fiber, next generation copper or microwave were either too expensive or unfeasible (i.e., hard-to-reach areas such as islands, mountains and remote places). Today, with technology advancements in both satellite capacity and ground segment equipment, traditional perceptions about satellite backhaul are quickly becoming obsolete. Satellite capacity is rising fast and bandwidth costs ($/Mbps/month) are declining fast. This means that thousands of cell sites can now be served economically by satellite, enabling MNOs to support a new set of use cases such as metro-edge coverage extension, urban network densification, roads and highway coverage, emergency response and network backup. While the business case for satellite backhaul has never been stronger, adoption is still hampered in some cases by MNOs’ outdated view of satellite technology. Therefore, the major barrier to widespread deployment is simply a matter of perception. 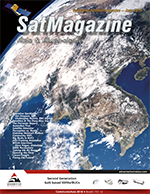 Often, decision makers are unaware of the recent improvements in satellite technology, which leads to apprehension about its suitability for cellular backhaul. Let’s take a closer look at three common misperceptions of satellite backhaul —performance (i.e., latency), cost, and complexity — and let the facts speak for themselves. Due to the inherent delay in satellite communication, some MNOs fear that this delay will result in poor backhaul performance and a less than satisfactory user experience. 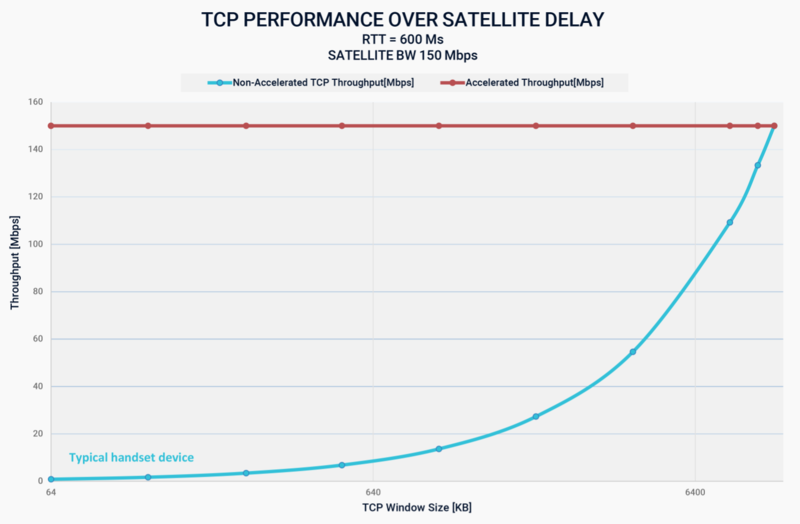 The facts show that satellite technology is now able to overcome this delay, and this has been proven in real-world satellite backhaul deployments. To overcome the inherent satellite delay, Gilat has developed an innovative application acceleration technology that mitigates latency. This patented technology enables true LTE speed by accelerating the high bandwidth application traffic inside the LTE GTP tunnel. This acceleration technique has been implemented in Gilat’s VSAT system and is being used in LTE deployments to achieve carrier-grade performance. The example shown here, based on a round-trip satellite delay of 600 ms and satellite bandwidth of 150 Mbps, illustrates how acceleration impacts the actual throughput to the handset over satellite. Without acceleration, we can see that the smaller the handset’s TCP window size, the lower the throughput. On the other hand, with Gilat’s patented acceleration, users enjoy full utilization of the 150 Mbps bandwidth for any handset window size. Since most handsets today have TCP window sizes less than 500 KB, this means non-accelerated satellite performance would be lower than 10Mbps. An integrated solution, in which the acceleration functionality is embedded into the VSAT rather than using an external card or box, can both reduce costs and give MNOs a single point of contact for all hardware and software issues. Ideally, the integrated solution should use a central network management system to maintain QoS and guarantee maximum traffic efficiency by eliminating sync delay between cards, which is critical for avoiding packet loss during fade conditions. Softbank (Japan) and EE, a BT division (UK), are two excellent examples of Tier-1 MNOs that have achieved true LTE performance over satellite. Both of these MNOs use Gilat’s Capricorn VSAT modem technology for cellular backhaul. Featuring a multi-core processor, protocol optimization and application acceleration techniques, Capricorn delivers market-leading LTE performance. 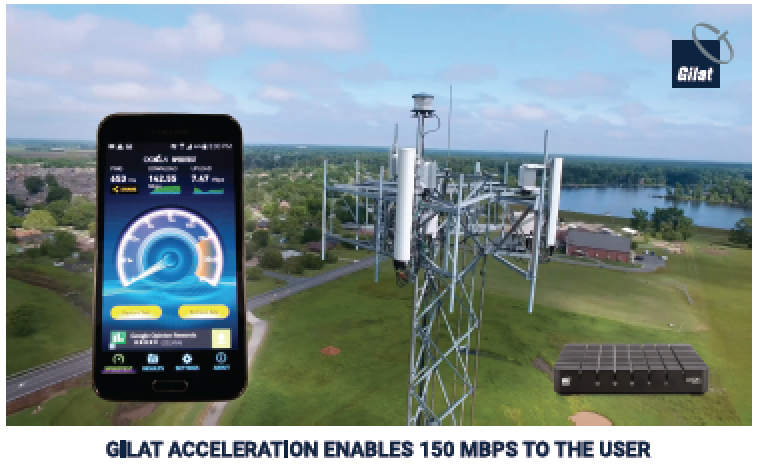 In an Ookla SpeedTest, Gilat’s LTE satellite backhaul solution reached throughput performance of nearly 150 Mbps of TCP traffic to the handset, or 200 Mbps of UDP traffic (connectivity). In the past, satellite bandwidth costs often made satellite-based communications prohibitively expensive for MNOs offering broadband services. With the ever-increasing supply of HTS bandwidth, together with advancements in satellite technology, this is no longer the case. According to industry analysis and forecasts (see graph), HTS global supply is expected to grow by a factor of 16 by 2025, as many new high throughput satellites, including GEO, LEO and MEO satellites, are launched. 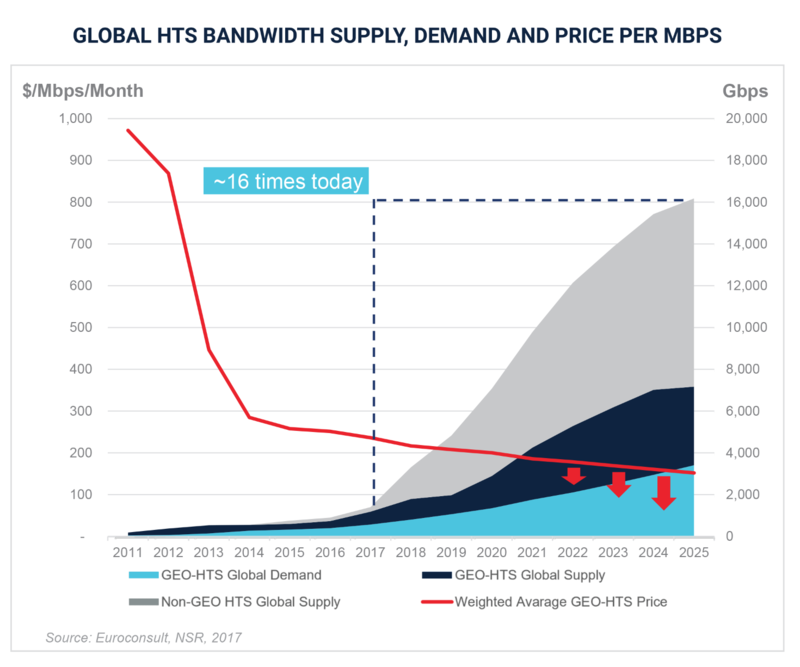 At the same time, we can see that the GEO HTS Global demand is significantly less than the supply. In the past few years bandwidth prices were in freefall and this drop is expected to continue in the future, with the abundance of satellite capacity propelling satellite solutions into the mainstream. Based on these trends, it is expected that the cost for satellite backhaul networks will match those of terrestrial backhaul networks for many use cases. In fact, in a recent report, research firm NSR singled out cellular backhaul as the key vertical expected to drive growth in the satellite communications market. LTE and 3G data traffic is asymmetrical — users download much more than they upload. In addition, traffic is bursty with a high peak to average ratio (often reaching 10:1). In light of these attributes, using a dedicated link or two-way symmetrical pipe often doesn’t make economic sense for mobile broadband services. For better cost efficiency, MNOs can and should adjust bandwidth according to usage. Leveraging the inherent point to multi-point nature of satellite communication, bandwidth sharing access schemes, such as Multi-Frequency Time-Division Multiple Access (MF-TDMA), are an ideal solution for data-intensive 3G and LTE networks. The advantages of using MF-TDMA include: optimal bandwidth utilization; ensuring sufficient capacity to meet peak usage; and enabling better QoS by sharing bandwidth among cell towers and prioritizing bandwidth in the same cell for voice and data traffic. A third common misconception is that satellite technology is too complex for cellular backhaul networks. As MNOs are already fully tasked with their rapidly evolving mobile networks, they are typically reluctant to take on unfamiliar complexity related to satellite. With today’s technologies and tools, it is possible to remove most of the complexity surrounding the deployment, management and operations of satellite backhaul solutions. Using a global network management system (NMS) can streamline the provisioning, configuration, control and monitoring of all satellite hub elements, as well as remote terminals, regardless of their physical location. This type of system also helps to simplify service fulfillment at each cellular site, as well as enabling comprehensive service assurance, based on performance monitoring and usage reports. Moreover, a universal NMS lets MNOs start small and add sites over time to accommodate network expansion, as well as supporting smooth integration with the Operational and Business Support System (OSS/BSS). Satellite networks traditionally operate at Layer 3 (network layer), while MNO networks in some cases operate at Layer 2 (data link layer). This discrepancy can often lead to integration issues between the two types of networks. However, there are carrier-grade satellite networks that can also operate at Layer 2. Using such a solution can simplify network operations by allowing the MNO to work with satellite backhaul in the same way it handles any other transport method. Layer 2 connectivity accommodates the use of existing MPLS/PPPoE protocols over satellite, while a transparent Layer 3 enables MNOs to maintain their existing IP network design and operational procedures. By outsourcing the satellite backhaul operation to a satellite network provider, MNOs can free themselves from dealing with satellite-related issues altogether. Gilat is currently involved in several managed service projects, including Globe Telecom in the Philippines, T-Mobile and Sprint in the US, as well as others, where Gilat has taken full responsibility for the establishment and ongoing operations of the MNO’s satellite backhaul network. Using this model, each MNO specifies its requirements, service level agreement and key performance indicators, as well as the required site locations and schedule. 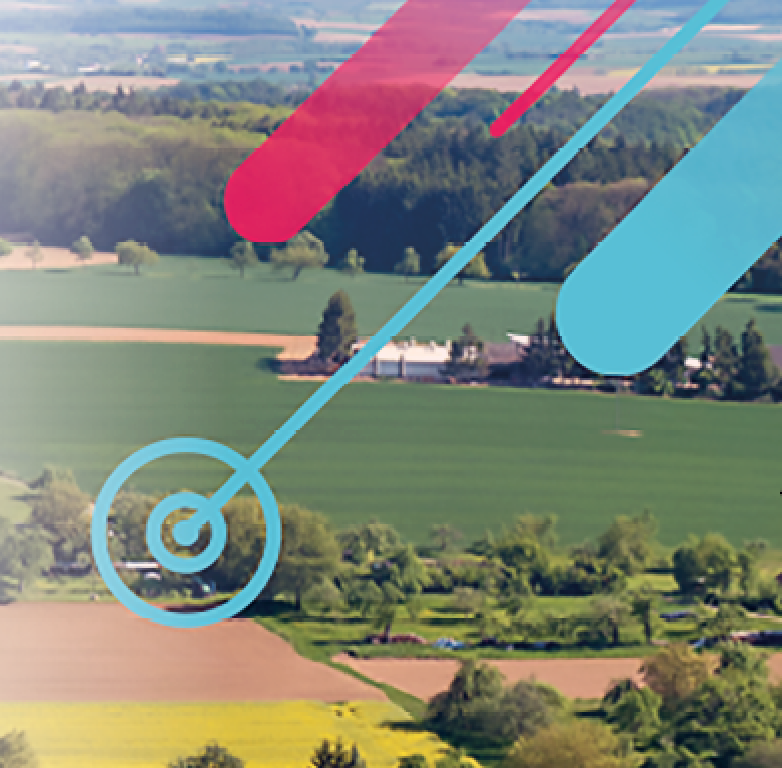 Once these requirements are defined, Gilat manages the complete satellite backhaul operation as a “black box” for the MNO, covering a wide range of activities – from satellite network design and capacity setup to onsite installation, 24x7 NOC and SLA management. The managed service model significantly reduces complexity for the MNO, allowing it to focus on its core competencies while leaving the intricacies of satellite backhaul for the satellite experts. The facts show that today’s satellite backhaul solutions are more than capable of supporting LTE performance as well as being economically viable. Rather than serving as a fallback option where terrestrial solutions are not feasible, satellite backhaul is rapidly transitioning into the preferred choice of leading MNOs worldwide across a diversity of use cases. 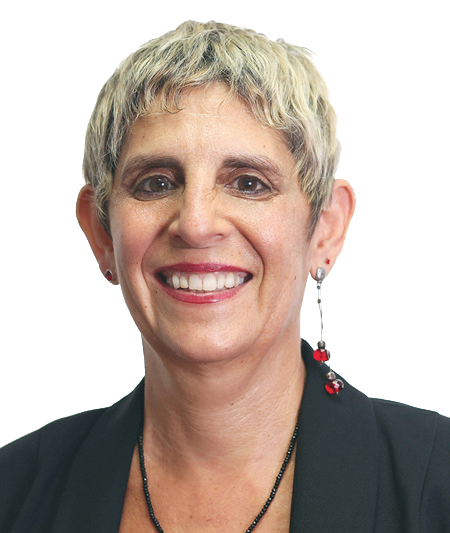 Doreet Oren (doreeto@gilat.com) is Director of Product Marketing and Corporate Communications for Gilat Satellite Networks. She has been in this role since 2012 and has been responsible for defining product positioning, messaging, go-to-market strategies, market research, and analyst relations. Oren has more than 20 years of industry experience, and has held management positions in R&D, product management and product marketing, for international high-tech companies. In this capacity she contributed to next generation product definition and was responsible for delivering the company’s vision to the media and analyst community. Oren has published thought leadership articles in renowned international journals, and has spoken at numerous industry conferences worldwide. Oren received a BSc in Computer Science from George Washington University.